2016 Olympia Weekend: MASSIVE 2016 Guide! The 2016 Mr Olympia is fast approaching, it will be the 52nd Mr Olympia contest where reigning champion Phil Heath will be looking to get his 6th crown and carry on writing his name in the history books. Here at Protein Hunter we will break down the 2016 Mr Olympia for you. Not only that but we are going to give you an insight into the other competitions both on the stage and also off the stage at the weekends expo. We are sure you will know all you need to about the 2016 Mr Olympia and full weekends events after reading this!! Where will the 2016 Olympia Weekend be held? When is the 2016 Olympia? What do us fans get to see at the 2016 Olympia expo? Who Has Qualified In the Men’s Bodybulding Division For The 2016 Mr Olympia? The 2016 Olympia will be held in Las Vegas, Nevada at the Orleans Arena and Las Vegas Convention Centre. The competition has been held in Las Vegas since 1999 and is now often referred to as the home of the Mr Olympia competition. 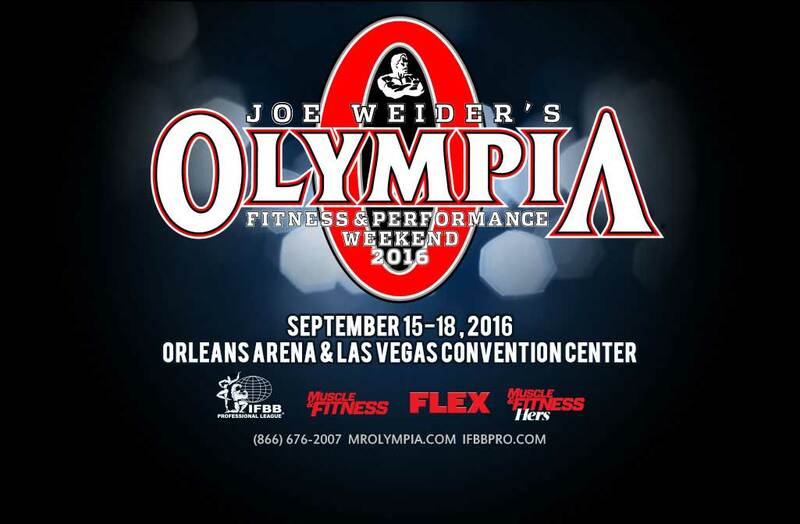 The Olympia weekend will take place between September 15-18. This will consist of the expo, the different division competitions and the 2016 Mr Olympia main show. The 2016 Olympia expo is something which has grown year on year and it truly makes the Olympia a full action packed weekend so that there is something for everyone. This year there are plenty of competitions and events to see or partake in before even we get into the main events on the stage! The Battle of the Bars 16 at the 2016 Olympia is a must watch event. It comes with 5 Matched Battles, putting the Best Calisthenics Athletes from around the world against one another to see who will walk away with the cash prize and bragging rights for the coming year. This for sure is going to be one of the most Epic events in Calisthenics History! A fantastic event at the 2016 Olympia is the Ju Jitsu, some would say it is like playing a game of chess but with your body. Some of America’s top Ju Jitsu athletes come together and battle it out to try and claim the gold! Entering it’s fifth straight year, Rhino CrossFit is coming to the Olympia Expo! This year, competitors will be testing their ability to hoist heavy stones over their shoulders, farmer carry heavy tires, jump over walls, slam balls, and thrust barbells until they drop. I bet you have seen the TV shows American Ninja Warrior and Ninja Warrior UK. If not, where have you been hiding? You can apply to try obstacles like the Salmon Ladder and the Warped Wall and will have a once in a lifetime opportunity to try American Ninja Warrior Obstacles at the 2016 Olympia Expo! Olympia Sombo is a Soviet era combat martial art. The word “SOMBO” is an acronym for SAMozashchita Bez Oruzhiya, which literally translates as “self-defense without weapons”. Sombo’s development began in the early 1900’s by the Soviet Army to improve their hand-to-hand combat abilities, intended to be a merger of the most effective techniques of other martial arts. Sombo has roots in Judo, international styles of wrestling, plus traditional folk styles of wrestling such as: Armenian Kokh, Georgian Chidaoba, Romanian Trîntǎ, Tatar Köräş, Uzbek Kurash, Mongolian Khapsagay and Azerbaijani Gulesh. This competition will draw the best from Beginner Developmental to Elite athletes. You don’t want to miss this one! The expo sure does sound like its going to be a blast this year, but lets get down to the Main Events which will be littering the stage throughout the weekend with mass, aesthetics and beauty! So far 11 top athletes have qualifiied for the 2016 Mr Olympia. Many questions have been asked, such as will Kai Greene even compete this year? Will Dennis Wolf, Shawn Rhoden and Dexter Jackson push Phil Heath to the limit? We know now for sure that Kai Greene is not competing at the 2016 Mr Olympia, so where does that leave the rest? Many people talk about the mass monster Big Ramy, will it be his year to come dialled in with all that superior mass he has on his frame?! And what about Cedric McMillan, who has been placing high at competitons like the Arnold Classic and getting rave reviews from Schwarzenegger himself? The big news however is…. The surprise entry in Kevin Levrone! The veteran bodybuilder and one of our favourite from the 90’s era of bodybuilding has decided to make a come back and once again step out onto an Olympia stage with hopes of winning the Sandow. Will he be back to claim his first ever top spot at the age of 51? Keep reading, we’ve got more on Kevin’s comeback later in the article. However there is still all to compete for and there is still competition for the other places to step on that Mr Olympia stage. To see how these other competitors gain their points please see our full Mr Olympia qualification breakdown. The big talk of the 2016 Mr Olympia has been Kevin Levrone making a return to the Olympia stage!! We were lucky enough to have heard this from the man himself. We spoke to him at this years Bodypower Expo in Birmingham, England and he confirmed to us that its on!!!! There has been much talk of a comeback in recent years which have not materialised. We have been reading forums recently where people are saying his body won’t be the same as the 90’s or it won’t respond the same to training as it once did due to his age etc. At the Bodypower Expo Kevin was looking huge and said he was currently weighing in around 246lbs which at that time was great considering the 2016 Mr Olympia was around 20 weeks out. He spoke in an interview at Bodypower with Rx Muscle and went on to say he has gone up in weight before to 250+ against Dorian Yates and Ronnie Coleman in the past and this has led to him ending up in fourth place. We feel from what Kevin was saying that he probably will be around the 240 mark and coming in shredded. Like he said himself, its all an illusion on stage, weight doesn’t always matter. From seeing him in person he looks like the real deal is going to be coming our way this September. We are unsure if he can challenge Phil for the top spot, however depending on what he brings to the stage we are hoping he could smash the top 6 at least…..or better!! Obviously, nobody knows quite yet who this will be! Phil Heath looks almost impossible to knock off the top spot, but with this competition getting stronger each year, check back in September to see who had what it takes to win this time around. The Men’s Physique Showdown has grown in popularity significantly since its inaugural year in 2013. There is huge competition for the top spot in this division with a good number of competitors fighting for those top places. For the ultimate guide and all you need to know about this division please check out our Men’s Physique Ultimate Guide. Jeremy Buendia has claimed the top prize for two years running with Sadik Hadzovic being the first runner up. However Sadik has now switched divisions to the Classic Physique therefore what looked to be turning into an annual rivalry has for now, ceased. Other top competitors such as Ryan Terry, Jason Poston and Brandon Hendrickson to name a few will be fancying their chances of moving up the rankings this year and pushing Jeremy to the limit. 212 Olympia Showdown is a professional bodybuilding contest reserved for IFBB competitors who weigh 212 lbs (96.5 kg) or less. 212 Olympia Showdown is part of the Olympia Weekend. Prior to 2012, the weight limit for the Olympia Showdown was 202 lbs (91.6 kg) and the contest was accordingly known as 202 Olympia Showdown. The 212 Showdown has been dominated in recent years by the great Flex Lewis. He has won the title for the last four years and he really is the man to beat. Jose Raymond and Hidetada Yamagishi last years 2nd and 3rd place respectively will be trying to knock Flex off his perch this year. David Henry will also be looking to regain some of his previous form and claim his 2nd Olympia title, David won back 2008 in its inaugural year when it was known as the 202 Olympia Showdown. The Classic Physique is the latest addition to an already action packed 2016 Olympia weekend. This new division is now going to make its grand entrance at the 2016 Olympia and it looks like its going to excite! Much talk about it has taken place, check out our Ultimate Guide to Classic Physique to find out more about this new and upcoming division. As we mentioned earlier Sadik Hadzovik has made the transition from Men’s Physique to Classic Physique at this years Olympia. He feels he has the quality to make this division his own, however with the Classic Physique being so new, there is nobody yet who everybody is looking to knock off the top perch like the other divisions. This makes it all the more exciting to tune in to this one! As you can see we have competitors names you have probably seen in other divisions in the past. 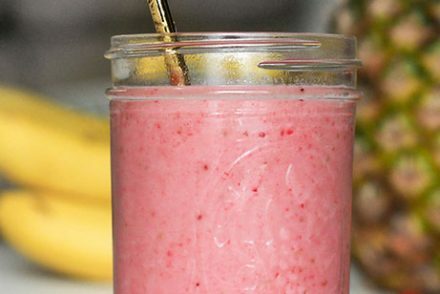 These people are either stepping up or dropping down in weight for this. In some instances competitors are even coming out of retirement to give this a shot! We are still awaiting our first Classic Physique Showdown champion. Don’t forget to check back here after the 2016 Mr Olympia for full results! The Woman’s Physique Showdown will be another exciting division to be entertained by at the 2016 Olympia. Juliana Malacarne will be looking to make it a hat trick of Olympia titles as she goes against the best woman’s physiques on the planet. Kira Nueman will be looking to avenge last years disappointment of just missing out to Juliana. It sure does set up a great competition for this years event. A very strong line up already as you can see, Juliana Malacarne, Kira Nueman and Autumn Swansen to name a few! The 2016 Bikini Olympia showcases the greatest bikini bodies on the planet. This category is very popular for woman to enter and always brings in the crowds at the Olympia. Ashley Kaltwasser took first prize last year and will be looking to extend her reign as the finest bikini body on the earth. Janet Layug came second last year and will be looking to try and claim the top prize this time out. This division is very competitive however and rather like some of the other divisions where the top five can be picked pretty easily, this division is very tight and judges will have to be on their A game come show time. The Fitness Olympia combines the aesthetics of physique with an entertaining twist of dancing and insane tricks. The contest was first held in 1995. Adela Garcia has won the most titles, with eight wins, she ties with Ronnie Coleman and Lee Haney with the most Olympia wins! The Fitness Olympia this year has Oksana Grishina vying for her third Fitness Olympia title. She is known for her inventive, artistic, and difficult routines, Oksana Grishina has been a crowd favourite for years. Regiane Da Silva is a noteable challenger for Oksana, she has several 2nd and 3rd place finishes in both the Arnold Classic and Fitness Olympia. We’re sure she will be hoping this year is her year! The Figure Olympia is an annual women’s fitness and figure competition and will be back again at the 2016 Olympia Weekend. The contest was first held in 2003 and since then Nicole Wilkins has won the most titles with four victories. However at the last years Figure Olympia, Nicole was knocked off the top spot by Latorya Watts ending a consecutive four year history making reign. This makes it all the more tense in the build up to this years competition. Will the battle continue or will there be another new Figure Olympia crowned this September?!! We hope you are all now ready and set for the 2016 Mr Olympia and Olympia Weekend. Don’t forget to stop back here after the 2016 Mr Olympia to get our update on how the weekend unfolds!